#Wordless Wednesday: The Birthday Girl!! Our Princess turned 3 on Sunday. 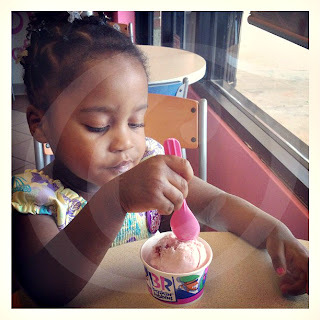 Here she is enjoying her free scoop of Baskin Robbins Ice Cream!